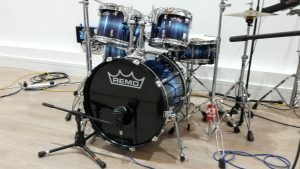 We stock a versatile house drum kit and a fantastic stage piano. If you have very specific requirements we can recommend other backline specialists. 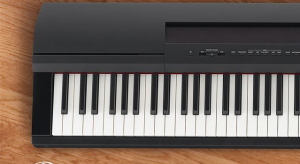 P515 is actually more than a stage piano, it has internal speakers allowing you to perform or practice without an amp. However, it’s forte is the incredible quality of the sounds meticulously sampled from top class grand pianos and the feel of the keyboard bed which can match the Nord Piano 4, Kawai ES8 and many other go-to stage pianos. Easy to use interface with all the essential “keyboard” sounds such as various e-pianos, clav, organs, vibes at a touch of a button. 100’s of other sound also accessible via simple menu system.d. Includes Stool, music stand, sustain pedal and a portable stand. 12 Years in the making Acousticon R is a highly dense composite of a continuous linear wood fibre material combined with special resins, resulting in better low frequency output, better projection, less water absorption and higher strength for holding tune and exceptionally smooth bearing edges. All this leads to a drum set that competes with plywood sets at much higher prices. 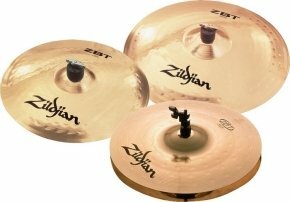 Alloy: Enhanced Zildjian Sheet Bronze: 92% Copper, 8% Tin. Hammering: Small round hammer strikes in a precision patter creating texture and character. Lathing: Sound grooves on top surface only. Sound: Quick, bold, bright response with more focused tones. Totally consistent within each model. All hire prices exclude delivery and collection and are based on a 24-hour hire period. There is a minimum £100.00 fee for Friday or Saturday delivery. No minimum for collection. Collection is charged at the same rate as delivery on all dry hire packages. Therefore if we are delivering and collecting the equipment you are charged one of the above fees twice. You must accept our Terms and Conditions if you plan to dry hire from us. Full payment and the agreed deposit must be paid up front. ID and proof of address required. You must be over 18 to enter into a hire agreement. You are responsible for ensuring the equipment you hire is fit for the purpose you intend to use it. We will only deliver what is agreed subject to Terms and Conditions. We expect to be able to park near the venue for ease of loading and if this is not possible you may find there are delays setting up. In certain circumstances we may charge for parking, congestion charges and/or Penalty Charge Notices, please do what you can to help us avoid such fees.